This fountain is the perfect addition to any zen garden - don't miss out! 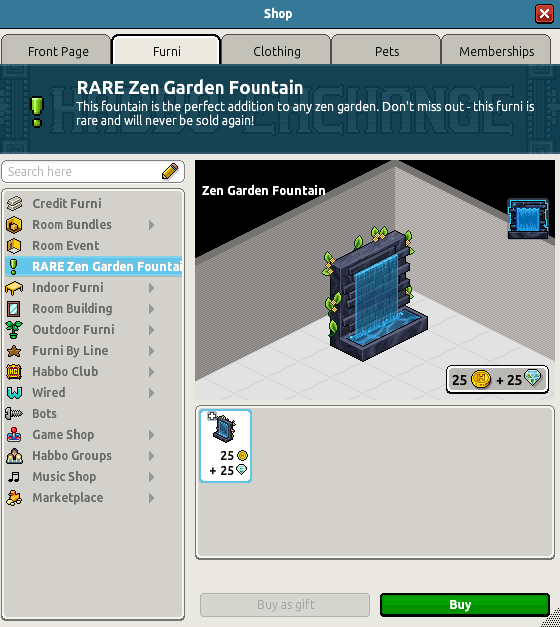 Open the shop and go to RARE Zen Garden Fountain. Purchase the rare for 25 credits and 25 diamonds.